In 1984, James T. Espy founded the James Trogolo Company with a vision to create seasonal décor programs for shopping centers and businesses around the world. Since the beginning of operations, the James Trogolo Co. has expanded from its St. Louis US office to servicing customers from coast to coast, in Canada, Puerto Rico, Hawaii, and Asia. This growth is attributed to the quality of our products and service to our most valued asset, our clients. 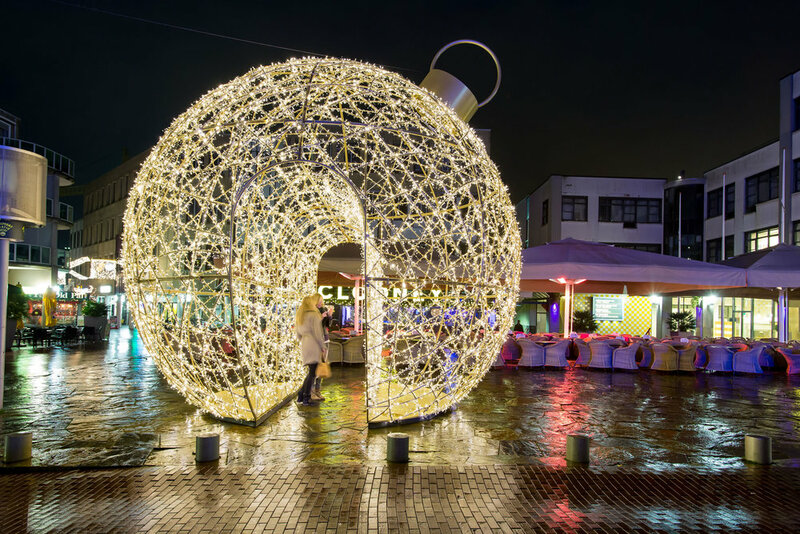 To create world class experiences that capture the essence of holiday magic, while fostering a visitor experience conducive to vibrant, healthy business and measurable success – insuring the holidays will be bright for you and yours. To make the holidays more vibrant and magical for everyone. Spark Amazing Moments. Through our custom décor programs, we have the opportunity to enhance the landscape, engage the senses, and make the holidays brighter and more enjoyable for everyone. Our passion for design and emphasis on safety is rendered in our work, ensuring your display is ready for the perfect family experience. To be the most reliable and sought-after provider of custom holiday decor in the world. Our Customers and the Excellence of Our Service. From concept to creation, we are committed to providing a comprehensive, full-service experience to our customers. Without exception, we want to bring your vision to life and make the holidays special for everyone.